For some strange reason I have a weird way of looking at things. Good things happen. Bad things happen. Really ugly things happen. I find myself thinking – this could have been worse. Does everyone think like this? I’m not sure. I don’t think so. I see people around me that are stuck in a quick sand of bad circumstances that have bullied them and beaten them down – until they are a mere shadow of their former selves. Somehow they have not been able to rise above the negative, hurt and sadness in their lives. This in itself should give us that ability to “press on” even in times of unusual stress and bad times. But sadly, I know it is not. When something bad happens to me my first response is not, “Thank you, Lord – I see this is going to hurt but I also know you’re going to teach me something through this” Not at all! But I have found that much later it helps to practice this one thing: I have allowed my thoughts to go to a place that could have been worse. There is always something worse. I fell the other day. My own stupidity. Tripped over a carpet end after trying to go over a puppy gate. I got my one foot caught on the end of the carpet and the other foot did not make it over the gate. I hung for a moment suspended in an awkward straddled position and then gravity propelled me forward and on to an oak side table. The momentum was so great that the side table actually broke as I fell on it. Can you say, “Ouch”? Needless to say my side that hit and broke the table was VERY sore and badly bruised. My foot that was caught in the rug, twisted as I fell – another “Ouch” – and I had several other bruises on my arm and hand. Oh I still have the visual reminders of my fall – and probably will have them for a while. A bruise is still a bruise after all – and it still hurts. But oddly enough, as in other unfortunate circumstances that have come my way (and plenty of them) – I have started allowing my thoughts to take me to a place of “what-ifs” instead of just “Oh-Nos!” You know that place. The place that is “better” or “worse” depending on how you look at it. It’s more than just a “glass half empty or full” it’s a place of real discovery. The discovery is in how I choose to be defined by what happens to me. I always try to choose blessing and see God’s protection on my life. Even in the bad things that come my way. Even in the bad fall. Here’s what I thought: “This could have been so much worse. If I had been older, had less padding and my bones had been more brittle, I surely would have broken my hip or cracked a rib. I would have not just twisted and bruised my foot – I would have badly sprained or broken it. The blessing is that I only have bad bruises and a little limp while I recover but this too shall pass. I remember an ugly thing that happened years ago now – as I tried to help another person and got too emotionally involved. Even then, God was protecting me. That person ended up betraying all my kindness and the friendship, accusing me of some ugly things. It could have gone down a much more dangerous and ugly road if I hadn’t realized first I needed to say goodbye. But as it turned out – God used that person to turn things around, force me to become wiser about who to discuss things with and confide in. And even though that hard lesson cost me that friendship – I have not stopped being kind and helpful. I still reach out and want to help people. I know it could have been worse. 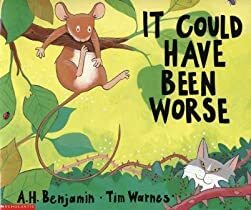 Much worse. Look at the blessings and protection from God on your life so far. Think of how things might have been worse if left entirely up to you. Try to think of ways that God has truly intervened on your behalf. Are there things in your story that are more than just coincidence? Can someone benefit from your story of God’s grace in your life? Are you able to still be positive and joyful even through your pain and trials? Can you see any way that others might learn a life lesson from you? Can you look through a different “God lens” and see how things could have been worse? I have strange random thoughts. About anything. And it varies from day-to-day. In the past I have been called an “old soul” and can quickly identify others who share in this “special” thought pattern. I have also come to realize that being an “old soul” lends itself to the bizarre and unusual – for no reason at all. When students of mine ask penetrating questions – or ponder before answering and then have a brilliant and well thought out answer to a questions with a far away look in their eyes – I know they are also an “old soul”. My own son began doing this when he was no older than 2 – and over the years we have had many outrageous and enlightening conversations from the universe to relationships and everything in between. He is an “old soul”. He has always asked meaningful questions and wondered at the mysteries of life – just like me. Last night Greg and I were watching a movie on film editing. There was a line in it that said, “if you are here now – your ancestors were tough”. I can’t tell you how that one thought has been a thought of mine for SO LONG over the many years. You mean, someone else has actually thought of that too? How random – how great to hear that! It is mind-blowing to think of all the things that has had to happen in the past, not only happen – but happen in a distinct and orderly fashion for those ancestors of mine to have survived plagues, floods, disease, famine, hardship, voyages and other things throughout the many centuries in order for me to be here RIGHT NOW. The only thing that makes any sense at all – is that somehow God ordained for me to be here. He knew the journey through all the past centuries that my blood line would journey in order for me to come to this point in time. How many ask the question, “why?” Not many. Most just blindly accept their presence on this earth as obvious and miss the wonder and miracle. If you are one who asks the deep questions and are not completely satisfied until those questions are explored and dissected – you are probably an “old soul”. And if you are like me – you wander around and look at everything with a question mark. You do not easily accept the obvious or just the plain facts – you want an answer that makes sense. And you do not like a ‘pat on the head’ or people telling you not to worry about it. “Old souls” are special people. We see color and feel levels of intensity in everything. Music has meaning. And history is especially interesting. Lingering longer over deep subjects does not tax our brains. Life is the most interesting when involved in a debate about the universe, Christianity, music or life and death. We have an understanding of things the more we experience them first hand and gain wisdom from others who have walked a similar journey. We like to ask provocative questions and try to learn from those things around us. The learning never ends. I am so glad for this! Remember – you are a miracle! Life is a crazy exciting ride! Ask questions – learn something new each day. Never be satisfied by what others think or say – find out for yourself – dig deep and you will find a whole new universe open up to you. I believe that God will show those that ask, wisdom, wonder and a way to succeed in this life. I believe He wants us to ask those deep questions. He can handle our questions, doubts, failures and attitudes. If you talk with Him you will discover that He created you the way you are – and is not surprised when your questions and thoughts seem out of the ordinary – or something you can hide. He is the original “old soul” and loves it when we have deep thoughts and come to Him. He is the only one with the answers – when no one else knows. And it is so comforting to know that. Have you ever been in someone’s presence and felt that you weren’t safe? You had to weigh every word spoken, had to ignore the little ‘jabs’ of humor and eventually you found yourself either pushing back or shutting down? Being and feeling safe is different for each of us. And by safe, I mean something beyond just comfortable and easy. It’s that intangible something that feels like you’ve come home and don’t have to watch everything that you say – you’re free to express without judgement, free to be yourself, free to confide, and be appreciated for your own uniqueness. I saw a movie the other night on the life of Earnest Hemingway during the war years – and at one point in the movie he had to address a crowd of people. He suffered terrible stage fright and when finally was able to speak to the crowd he told them, “I’m a writer – writers don’t have to speak out loud and address a crowd” And in this very same way – we all relate in our own unique way. Some of us are writers – some are good oral communicators – others are teachers some are shy computer geeks. And each of us communicate in different ways to others. Sometimes that mode of communication is misunderstood by others. For me personally I have found that to be true. Frustrating yes – but also disheartening. I begin to hear people as they “joke” and “jab” about “those of us who are expressive” and “those of us who write feelings down” and I slowly begin to shut down. It’s past the curiosity of just being different – it’s a smallness and intolerance that I find sad – and it’s in those people whom I do not feel safe. Where is your safe place? Do you relate to what I’m saying? Do you have those whom you feel safe with? Where you are able to express those words, written or spoken? Where you feel understanding and acceptance for the way you are? If you do – then you are blessed. Don’t let anyone rob you of your unique voice. God made you the way you are for a reason. Years ago I had a pastor friend of ours tell me, “Cindy – don’t let anyone steal your joy” This was after I got into trouble for being myself. It was great advice and I still remember his words to this day. Others have tried to mold and make me into what they think I should be. But I am always frustrated when I am not free to be me and express myself in the way that is God-given. Eventually though, someone – if not everyone will disappoint you at one time or another and even “rain on your parade”. Where is your safe place then? 1-2 I love you, God— you make me strong. safe in the granite hideout. and find myself safe and saved. I love this. In God we find a safe place where we can hide out and feel loved. He will always accept us and encourage us – help us to find our unique voice. He is my safe place. Yesterday I heard the above quote while listening to a message on the prodigal son. The kind of quote that puts a different spin on things – that gets right to the heart of the matter – just when I thought I had heard every angle on every story in the Bible after hearing them for years. I took notes – but for some mysterious reason, this morning I went to look for them on my Bible app and they are gone. Mostly, I just wanted to get the above quote, right – but maybe there is a reason why I lost them. The whole of the message was wrapped up in that simple question. In the middle of the message, when the question flashed on the screen, I remember closing my eyes and shutting out everyone around me. I thought of the things that I have thought I wanted, only to find out later that they would have not been the best thing – maybe even harmful to me. And I thought about the many times I insisted on having my way anyway. I thought about the pain of consequence – the people I have hurt – the things I wish I could do over and it humbled me. We have all done this. Whether it’s a relationship, position, or finances we are all guilty of wanting something more. That intangible thing that’s hanging out there – the proverbial “keeping up with the Jones’s” is that force that drives us constantly upward and onward. The thing that we know for sure – will make us happy. I remember asking God for something and arguing with Him – it was a very one-sided conversation, but He let me rant and rave for a while. I was sure I knew what was best for me. I can remember the time and place where I was – the confusion and storm going on in my mind and heart. There was one thing I knew for sure would make me happy – be best for me – would take care of all my problems, etc. I wanted to be right. And if I’m honest – at times I still think I am. Cindy Morgan wrote these lyrics, “sometimes heartaches are just blessings in disguise” I wonder how many times we pray for something, plead, CRY OUT, stomp, fuss, fight, argue, try to justify, and wear ourselves out – only to find out later (sometimes much later) that it was a blessing NOT to get what we asked for. Oh there are sometimes that God lets us have what we are asking for. Sometimes it is the only way He can get our attention and bring us into right relationship with Him. It may be a person, thing, or circumstance but we are sure that this one thing will provide that ultimate happiness and fulfillment. Sometimes the things that we get – through our own insistence to be right – can cause us untold misery and consequence down the road. Because of the selfish nature in which we ask for them – or even feel justified to have them, might seem good – even exciting and fresh – with the promise of lasting fulfillment, but in the end there may be more rippling effects of negative than we could ever imagine. When was the last time you asked yourself the question: Do you really want what you think you want? Life everyone else – it is by trial and error (a lot of trial and too much error) that I learn. It is not a fun way to learn – but there it is. I have tried countless brands of this and that from cereals to deodorant before I found the right one that worked for me. I have struggled learning software programs and trying to understand my iMac and before that, my PC – all in an attempt to better communicate, write and teach others. It took me longer than anybody else because I refuse to give up before I have answers. Some would call it a futile effort – but it is what has worked for me. I have tried several dry, canned, raw foods and doggie snacks (even given away several boxes of snacks and crackers that Daisy won’t eat) in an attempt to feed a healthy balanced diet for our finicky puppy and finally found something that works! We tried several churches after resigning from a full-time staff position more than 3 years ago – and finally found something that worked for us in this season. It only took us a year or so. I designed a music lesson plan and contract for teaching piano and voice after much trial and error – and early on in my career found something that worked. I have tried several types of friendships in my life time. I now choose my relationships based on very specific things after being around the block a time or two with those who stole my trust and broke the rules of friendship. – These things that I value are not definable – but very tangible to me. It has not always been so in past years – but now I value what is most important in my intimacy with others – this works for me and allows me to feel safe. I write a blog based on things I am interested in and do not follow other things more trendy or universal in appeal. Knowing that I being true to myself at the same time helping others is enough for me – one person at a time – and that is something that works for me. The only one I need to please is God. Any thoughts I have are not wasted on Him. He listens with rapt attention to my emotions and struggles. I am safe with Him. And my time spent with Him is always valued and never tossed aside. He brings my thoughts and emotions into balance – helps me be a kinder, more compassionate person – and helps me find the meaning in my sometimes crazy and mixed up mind – my many trials and errors and helps me understand why I am like I am and do the things that I do. And with Him to balance me – my life is complete. It is a simple formula. Loving my family, friends and my Heavenly Father. And that is what works for me. How about you? What have you learned by trial and error? 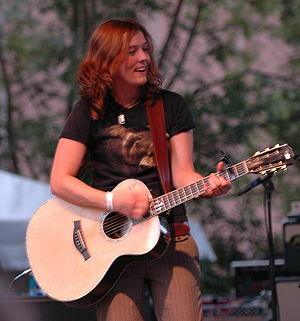 I’m loving this song by Brandi Carlile called “The Heartache Can Wait”. Her lyrics and voice are reminiscent of Joni Mitchell – and sound very much like Joni’s song called “River” or even “Cactus Tree”. There’s a purity of sound and beauty of just her voice as she tells this story of heartache around the holiday season. These lyrics are universal because just about everyone can relate to a love that’s gone wrong at a certain time of the year – and somehow, every season is filled with a distant memory of remorse and regret. It’s lyrics like these that capture the emotions deep inside and finally find its voice. I hope you will enjoy it as much as I do. The pictures with this song are just beautiful! Yesterday Greg performed a funeral service for someone we had known for several years – who had recently lost her husband to cancer. While at the service, one of the senior ladies came up to him and told him she was getting married again. “I finally landed him” she said of another man who was recently widowed. Well this gave us a good laugh and proves once and for all that anyone can get married – at any age – love seems to have limits or requirements – and let’s face it – most people don’t want to be alone. They would rather marry again – anyone rather than be alone. So this sparked a very colorful and fun conversation and got us really thinking about what it would be like if something happened to one of us and we found ourselves single again. It came up because we were marveling at how people can go back after being married to the same person for so many years – and start over and date. Now mind you we have been married for 30 years this September and neither of us have been on one of those ‘dates’ in more than 30 years – Oh we date now – sweet little outings that are more about connecting and romance then they are about getting to know each other like on a first or second date – but we haven’t ‘dated’ in years – in fact I’m not sure we ever did. I’m not sure I would know how. We went from being friends into a relationship pretty fast back in college and sort of skipped over that part. I would have to say that my last actual ‘date’ was with some creepy guy at college who asked me to the spring banquet. I didn’t think he was creepy until that evening – but none-the-less it is my memory of that evening – and the last real ‘date’ I was ever on. I think ‘dating’ is highly over rated – not for the faint-hearted – and certainly something I would probably avoid altogether if I was back in a situation that left me alone and single. Let’s face it – there are some pretty scary people out there. I know. I’ve had some of these people as friends over the years. I can’t imagine what my life would have been like if married to one of them. And let’s face it – someone can appear a certain way as a friend and then be completely different in real life – the daily grind, living, paying bills, through sickness and financial reversal. And getting to be comfortable again with someone else – hard to do. I mean – can you imagine it? I can’t. And so there we were – having one of those moments trying to take it all in – imagining what would happen if something should happen to one of us – and force the other one back in the ‘dating pool’ – just when you thought it was safe to be single. I teased him and told him he would have all sorts of women coming out of the wood work to get a shot at him – I’m sure they would come, it’s hard to find a decent hardworking man who is good-looking, kind generous and so on – he’s a find for sure – and a minority in the sea of so many single women. He’s so great that several years ago I had someone even picked out for him to replace me upon my ultimate demise – a wonderful single gal from our church who was recently widowed with a small son. And then she ruined everything and up and got married!! Can you believe that? We’ve had many laughs over it – in fact I even told this woman about it – and she was flattered – she got married to someone else – but still flattered 🙂 Man – can’t anyone wait anymore? Sigh. I have found NO ONE since her. But I do applaud all those friends in our lives that have chosen to be single. It is not for everyone – and I think it takes real courage to remain so. But there’s no one I admire more than the person who finds themselves single again due to a death of a spouse or a bad divorce. Being ‘out there’ again is scary. It takes real-time to grieve and grieve properly and fully before being ready to try again. But we have known some of these wonderful people who have actually found love a second time around – and no one deserves it more than they do. It should give all of us hope that God is really a God of reconciliation, love, forgiveness and second chances. I love that about Him. These wonderful friends somehow pulled themselves up – went through all the ‘first dates’ and scary things that all single people have to do – and still they were able to work through all those emotions and find someone wonderful 🙂 Is there more than one special person for everyone? You bet! But as for me – I’m way too picky. Greg has spoiled me for anyone else. And No – he hasn’t picked out any guy for me upon his ultimate demise. Men don’t do that – being territorial and all of that. And he thinks no one could take care of me in the fashion in which I am used to – so it would be a moot point. So I’m afraid it would be up to me in that case. I’m sure I would be lonely but would also enjoy being single and not be anxious to be on that train again and be ‘out there’. I have a few girlfriends who feel the same way – being in another relationship is simply not an option for them right now. We’ve all heard the horror stories of how people actually change – just when you think you know everything about them. Those that did not give it enough time – and they find themselves in a relationship with someone who turned out to be abusive or controlling – changing personality just when they thought they knew them. That’s not for me. I would have to know someone as a friend for a long while – to feel that I knew him through all the different seasons of life. I don’t think I would ever ‘date’. Nope it’s not for me. For those of you that have found that special love a second time around – after being ‘out there’ – I want you to know that I respect you and I’m so happy for you. That takes such great courage to find another relationship that works and that makes you so happy. You are true heroes.